Why should any terminal miss out on a full Terminal Operating System (TOS)? Every terminal big or small needs a reliable TOS to power their operations. Try out the TOPS Cloud solution following the pay-as-you-use model to allow massive cost savings with absolutely zero upfront license costs. This is the first Terminal Operating System (TOS) entirely on the Cloud – the most advanced and reliable TOS for the Container Handling Industry. TOPS Expert Cloud offers a full suite of terminal management capabilities, including operations optimization; yard management; vessel management; berth management; crane allocation; container handling equipment management; gates management; reporting and interfaces to financial systems, Gate Operating Systems, REFCON reefer monitoring system, radio data terminals, and GPS systems. Furthermore, the TOPS package also includes a management information dashboard and a monitoring tool, together with the fully integrated TOPS KPI functionality. It offers a full interface setup to connect through web services to your internal applications or other modules. The TOPS Expert Cloud package covers the entire operational spectrum, as it is derived from the components, TOPX Expert Cloud (operation system) and TOPO Expert Cloud (foundation system). 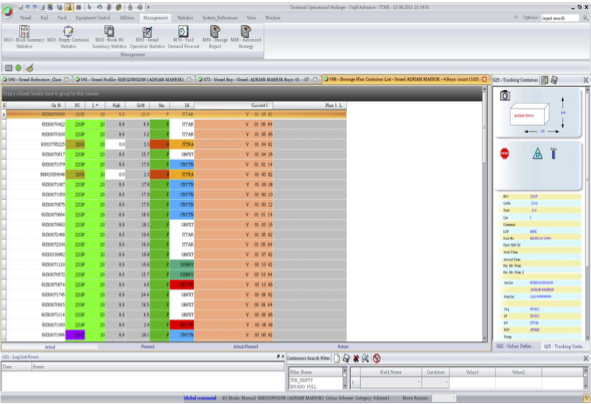 A PDF capable reporting tool has been integrated into the TOS, as well as a standard export interface to programs such as Microsoft Excel. This applies to the new foundation TOPO Expert, as well as to the operational module TOPX Expert. RBS has also integrated new heuristic algorithms, which enable the system to e.g. perform data handling using ‘Big Data’ analysis. In addition to that, a new automated berth planning feature is included in the TOPX Expert version, which aims to set the standard for efficient operations. Using new and smart algorithms to automate the berth planning, enhances the future operation from the beginning of the planning process down to the actual execution. This unique automated process, as well as the new intelligent algorithms, uses all available data, such as estimated discharge distances, the location of load cargo, and many more. Berthing decision is based on Big Data, smart calculations, and brilliant visualization, making the daily tasks of your planners more effective and more efficient. 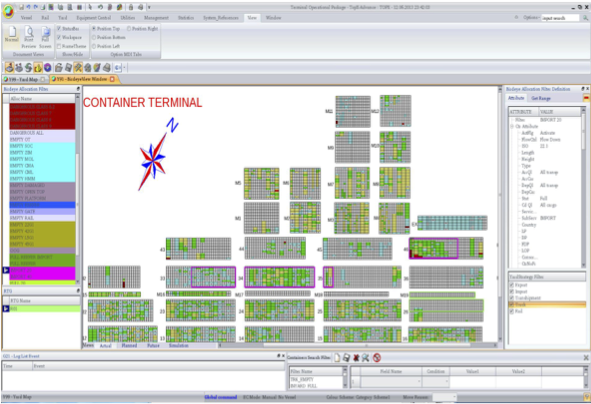 Highly sophisticated, practice proven algorithms, together with the unique RBS in-memory architecture, are the basis for true berth optimization, anticipating yard strategy, making berth planning more efficient and allowing an optimized equipment control. TOPS Expert enables terminals to actually foresee what is going to happen during operations, avoiding unexpected events and improving speed, reducing turnaround times and increasing quality and service levels. Extremely affordable due to no infrastructure CAPEX in the lack of servers, hardware, maintenance, and support required when moving to a Cloud-based software. Reduce implementation time by switching to a Cloud-based software, with minimal training and setting up required. The pay-as-you-go structure allows users the flexibility to increase infrastructure capacity relative to their level of growth, achieving economies of scale. Users are granted access to view and manage data from anywhere at any time on any device as long as an internet connection is present. With the Cloud, RBS can provide customers with new updates when there is a new feature at no additional costs. Your data remains safe and secure as it is continuously backed up on out AWS servers, so in the event of a disaster your data can be retrieved from our servers. This cloud software is based on our proven TOPS Expert solution used to operate numerous terminals around the world to produce real results. Our trustworthy team at RBS will be with you every step of the way, providing 24/7 support and maintenance. The lower costs of adoption and no lock-in contract, cloud computing reduces the risk expense for your business. Due to strict ISO standards, cloud computing has improved information security and encryption to keep your data away from harm, especially in the event of a disaster. Cloud computing reduces the number of data centres worldwide, having less impact on the environment. The sophisticated software operates on a private cloud, providing maximum control by tracking every movement of a container through a marine terminal and allowing customers to choose the resources they utilize.